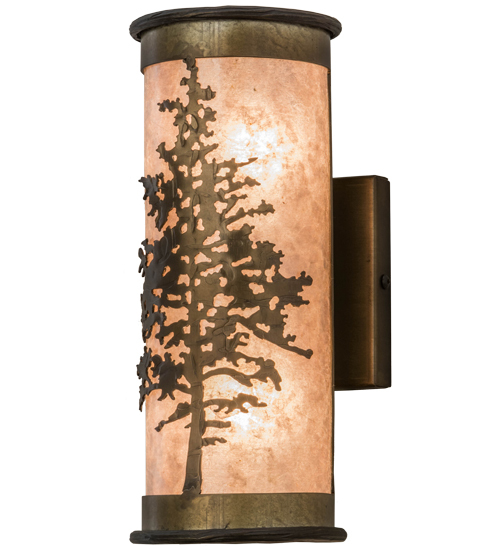 Description: A tall Tamarack Pine tree designed with natural rustic charm adorns this handsome cylindrical lantern. Beautiful ambient light is achieved through stunning Silver Mica, which is enhanced with hardware and decorative accents finished in Antique Copper. This sconce is handcrafted by Meyda artisans in our Yorkville, NY facility, at the foothills of the Adirondack Mountains.